Before you get to Isaac Franklin’s former farmland, the two-lane road dead-ends. Coils of barbed wire slash the swollen Southern air. A brick placard reads: Louisiana State Penitentiary, Burl Cain — Warden. There’s a beige turret fringed by pink wild flowers. A 10-mile arc of levees rimmed with quicksand. A two-story fence blocking jaws of tangled brush. There are 5,100 prisoners here, 86 percent of whom are violent offenders — three-quarters of whom are serving life sentences on this converted plantation, named after an African nation from where slaves were imported: Angola. This is where the Lomaxes, chain gang folklorists, discovered Leadbelly. This is where the Dead Man walked, and where former No Limit star C-Murder stares down a life sentence; where the questions at the crossroads become those of the condemned. This is where Lil Boosie, Louisiana’s most beloved and respected rapper sits, indefinitely. 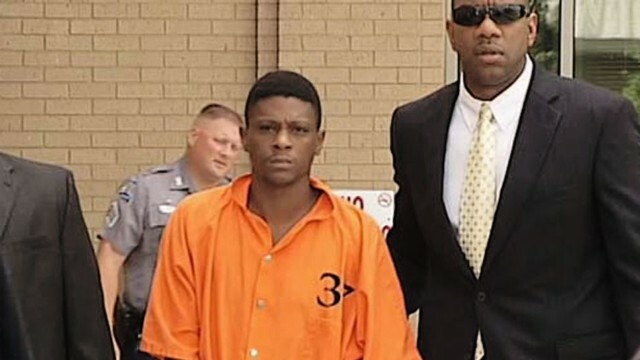 Boosie, born Torrence Hatch, inmate #560699, has been imprisoned in Angola for the last 38 months. No one can give you a straight answer on when he might get out. Not the warden, not his attorneys, and definitely not the websites that have been reporting that he’s due home in February. His counsel, New Orleans attorneys Jason Williams and Nicole Burdett, estimate that he could be released this summer, at the earliest. The more pessimistic projection is sometime in 2014. He’s currently serving an eight-year bid for conspiring to smuggle in marijuana, Ecstasy, and the ingredients to make codeine. This occurred in May of 2011, while he was awaiting trial for first-degree murder, a charge he beat in May of the following year via a unanimous Baton Rouge jury. The question is: When will he be free? Since his trial ended, Boosie, 30, has been forbidden to talk directly to the press. Even his post-acquittal statement had to be delivered through his lawyers. When I attempted to gain permission to enter Angola last June, prison officials refused the request. It’s impossible to convey the bond that Boosie has with his fans, clustered largely in the South, inner cities across America, and anyone who can sympathize with his struggle, which encompasses poverty and violence, bootleggers and diabetes. His music is savage and heartfelt, full of pain, drugs, and death. The Free Boosie Twitter account has over 133,000 followers. The Boosie Quotes Twitter has another 100,000. When L.A. rap stars Y.G. and DJ Mustard were credited with the rise of “ratchet music,” they explained that it started with Boosie. When Trinidad James was asked what he planned to do with his Def Jam advance, he said he wanted to use it to make an EP with Boosie. DJ Ya Boy Earl, one of the biggest DJs in Louisiana and a host on 94.1 MAX-FM describes Boosie as being like family to almost everyone in Baton Rouge. Within the parish, he’s known for his philanthropy (stay-in-school programs, turkey giveaways) almost as much as he is for his music. Houston legend Bun B, who along with his UGK partner Pimp C, was one of Boosie’s earliest supporters, says that the latter represents the rawest side of the streets.